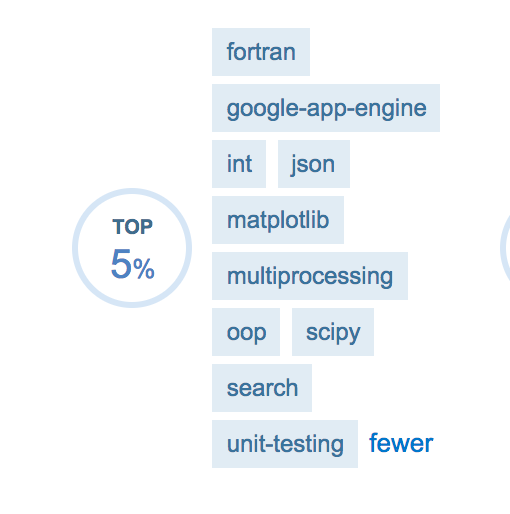 So I'm sitting here working on my developer story and I noticed that I'm listed in the top 5% for the search tag. Whoopee!!! Except for one problem... I don't really know anything about searching. Sure, I can find a substring inside of another string but I doubt that's something that potential recruiters want to see. Fortunately, I noticed the little "Edit" button and I think to myself "Ok, I'll just remove search from my list of badges that they can see". Unfortunately, it looks like I can remove any tag in that list except search. Clicking on the button below doesn't seem to have any effect. I don't know why that one is special and won't let me remove it, but I'm guessing that this is unintended behavior :-). I tried refreshing the page and that didn't fix the issue. Anyway, in the grand scheme of things, this is not a big deal issue for me and I'm sure that there's a good chance that this is a PEBKAC, but I thought that I should let someone know in case that there is a real problem here. If it matters, here's some details about my OS, browser, etc. Thanks for reporting this. 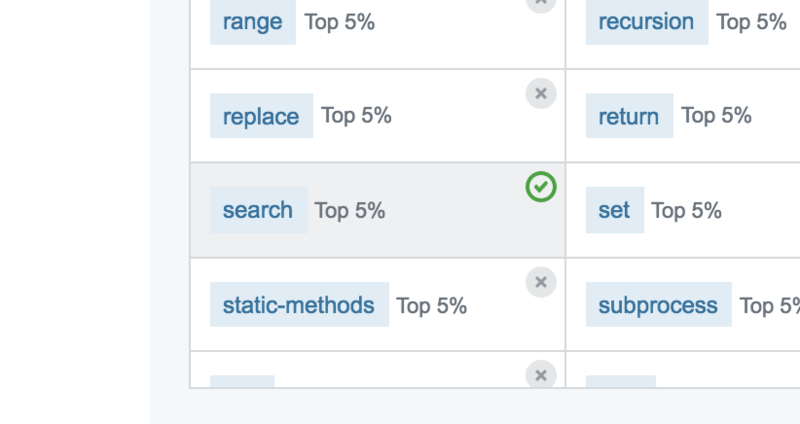 We were previously binding each tag label to the name of the tag, but the word 'search' was conflicting with the name of the search bar in the top navigation. We have pushed a fix which should be live on production shortly!